Our orphanage history is one of great adventures, overcoming huge odds and most importantly love. Orphanages rarely have a story to tell like ours does; some might find parts of it hard to believe but we assure you, it is all truth. The Good Shepherd Agricultural Mission was founded in 1948 by Maxton Davis Strong and his wife, Shirley. Maxton Strong had been a professor of Agricultural Engineering at the Allahabad Agricultural Institute in India, previous to this, having come from the USA with the American Presbyterian Board of Foreign Missions. After seeing the need of practical “hands on” agricultural training for aspiring young farmers, he acquired 160 acres of good fertile land along the foothills of the Himalayas, which was being offered on a permanent lease by the Indian Government. Having been to the USA and raised funds for some equipment, Maxton, Shirley and their three children, Jack, Maxine, and Jay, returned to India by ship along with their supplies. 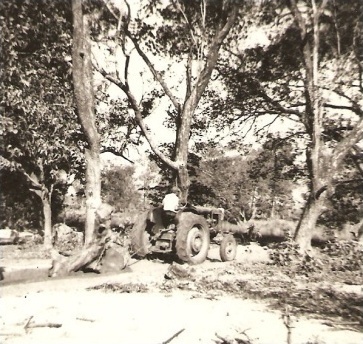 They landed in Bombay with a John Deere tractor, a four-wheeled trailer, a two-wheeled threshing machine, and some other equipment. 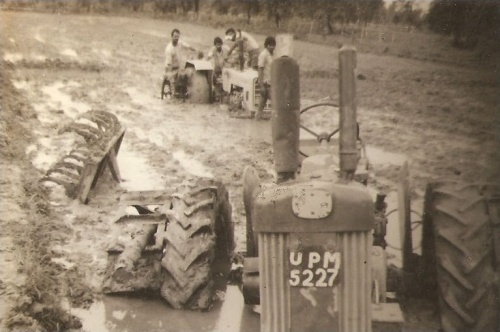 They assembled the tractor, which had come in parts, on the Bombay docks and started driving up country. Along with a couple of young Indian men, they moved over five tonnes of equipment, heading for Banbasa, on the Western boarder of Nepal. The entire trip by tractor was over 3000km and took several weeks. Shirley and the children traveled by train and met Max at their new home. The land was wild and unpopulated, largely because of the deadly effects of malaria. For the first few years, the little family lived in a US army surplus tent. 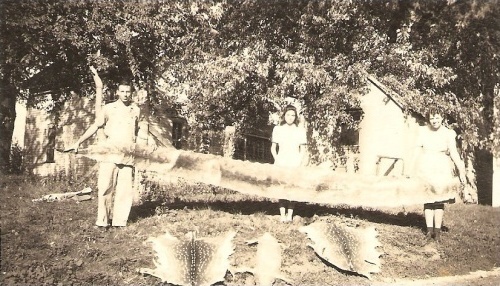 The month of May is very hot (between 35-50°C), but the shade of a large mango tree helped keep the Strong family cool. 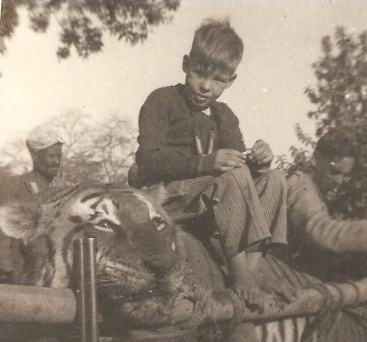 Wild animals of many kinds lived around them and, as the children grew, they learned to respect the animals they encountered and acquired a love for the wild. There were tigers, leopards, many kinds of deadly snakes, monkeys, large iguana lizards, various types of deer, wild pigs and elephants. Hunting was a way of life in those days and there were very few restrictions on what could be shot. Life was hard, the diet limited, and wild meat was appreciated for the table. There were a few primitive tribal people called Tharus in the vicinity, who befriended the Strong family and taught them the ways of the wild animals. 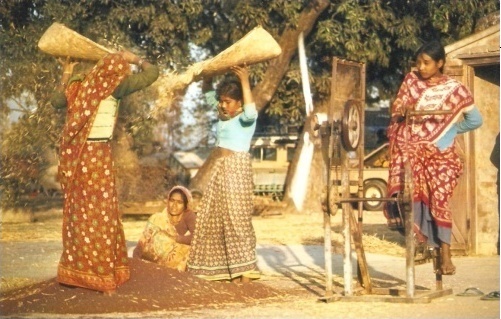 Later some land was given to the Tharu people and the Mission assisted them in setting up housing and agricultural projects to help them earn a living. Sadly, Maxton and Shirley’s oldest son, Jack, died of a fever in the early years, and years later their younger son, Jay, also died in a tractor accident. During that time, they had two more daughters, Carol and Rebecca, who eventually returned to the USA to live. 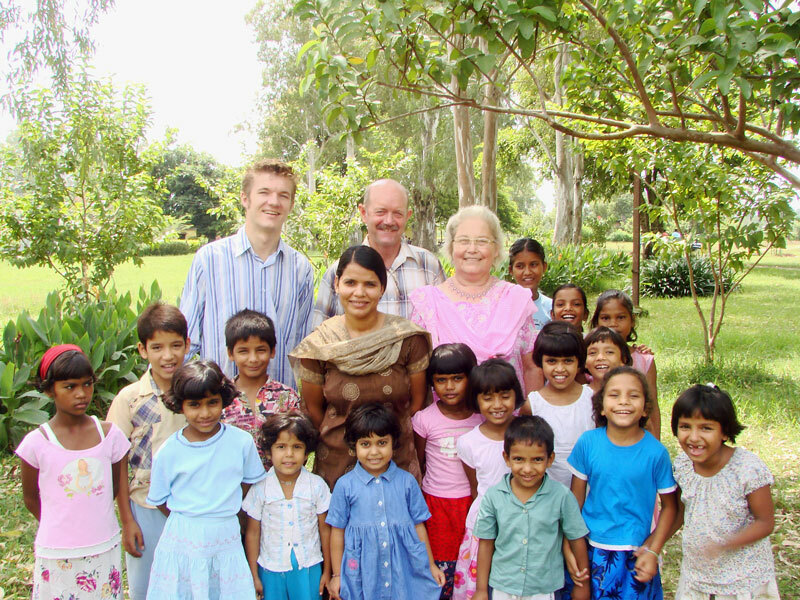 Over the years the Mission has gradually evolved into a farm home for destitute and orphaned children. The Mission attempts to be as self-supporting as possible, growing their own crops, planting fruit orchards, establishing a dairy and fish ponds, as well as creating a bio gas plant for cooking. When Maxton’s daughter, Maxine, had grown up, she fostered seven small children, more or less adopting them as her own. Over time, local people began asking for help with other orphaned or unwanted babies. The need for a nursery was great, so in 1973, Strong Farm built a small nursery with about six babies in mind. Before it was finished, however, there were twelve small children on the waiting list! The Mission took in babies of any age, even as young as one day old. Many children, though fairly healthy themselves, came from leprosy affected families, and were at risk of contracting the disease if left in that environment. Informal attempts were made to give the children some basic education, but there was no proper school. 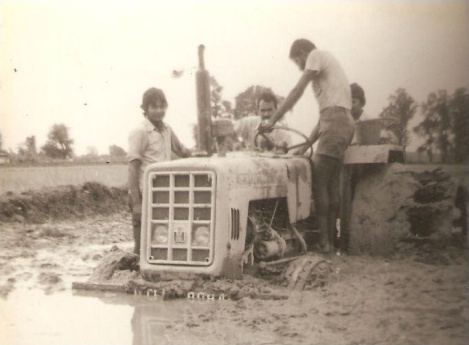 Instead, the first farm kids learned practical skills, like cooking, housework, childcare, farm work, and some mechanics. 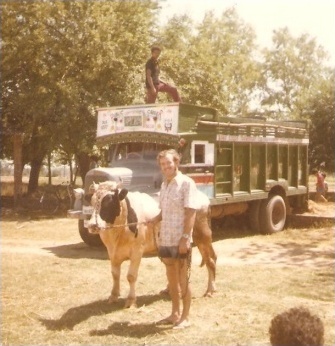 In 1976 a young agricultural volunteer with an aid agency, Warwick Shipway, (more commonly known as Rick), brought a plane load of high milk-yeilding cattle to India from Australia as part of a cross-breeding program. Twenty-five of these cattle were destined for The Good Shepherd Agricultural Mission’s dairy. 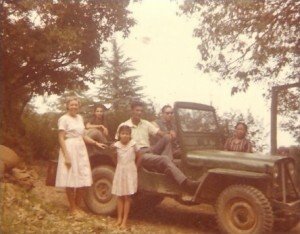 Rick landed in Calcutta with the cattle where they were brought up to the Mission by train. When he arrived he saw the need for someone with his wide range of skills and so he stayed on to help upgrade the buildings of the dairy, and thus became part of the big family. Rick ended up staying at the Farm for ten more years. 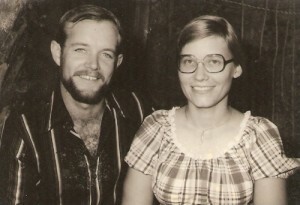 Rick and Maxine were married in 1980 with a ready-made family of seven foster children. In the coming years, the Shipways had two daughters and a son of their own. In 1986 they had to leave India because of visa problems. With much grief, they were forced to leave their foster children behind; their youngest was only ten years old at the time. It was a small comfort that all of of their beloved children were fitted into the Mission dormitories. At least they would be well taken care of. 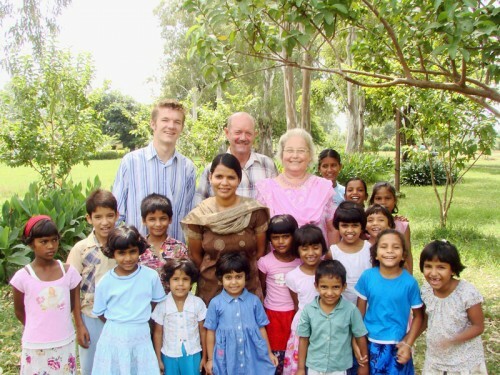 In 1995, Rick and Maxine (along with their 3 children) returned for 3 months to India and purchased some land to build a home for their foster children who were now adults. Rick and Maxine worked as volunteers at the WEC College in Tasmania for 18 years. Rick ran the 70-acre farm and Maxine looked after the laundry and sewing departments. Shirley Strong passed away in 1993 and Maxton Strong followed in April 2003. Unfortunately, the Mission had been deteriorating badly in the last years of Maxton’s life, with dishonest staff members attempting to exploit the children and the farm for their own gain. In 2004 Warwick, Maxine, and their son Clifton, who was then 19 years old, returned and took on the work of restoring the Mission to a place of love and safety. There was a lot of work to do; the children and the property had not been cared for in years! The work was full of challenges as there were massive debts and crumbling infrastructure. To make matters worse, a group of opportunistic locals with no legal claim to the Mission or the land, attempted to seize the property as their own at this time. This opposition obstructed the Shipways’ work at every turn, attempting to have them ousted from India, and pushing baseless legal cases through the courts, several of which continue to this day. In spite of these challenges, the Mission work has continued and expanded, with the Shipways putting their trust in God and simply doing the work that each new day requires. Before moving to India, the Shipways sold everything they had in Australia including their house, cars and possessions and used the money to further improve the Mission. Many of their friends and family have donated thousands of dollars over the years to bring the Mission to the place where it is today. In March 2008, Clifton married Priscilla Singh who had grown up as a child in the orphanage. 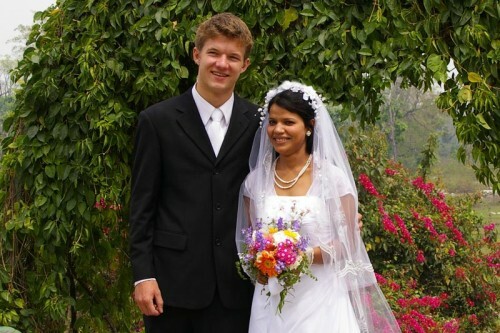 They were married on the Mission and now have three sons of their own. In August 2010, Maxine passed away and Rick took over as Director of the Mission by a unanimous vote of the board members. At this time, Priscilla was elected to the Board into the position of Treasurer. In July 2013, the Mission launched its largest venture to date: The Maxton Strong School. The school is not just for the Mission children but also for the children from the surrounding area. Students who attend from the outside community pay fees for their education and these fees are used to cover the expenses of running the school as well as the tuition for all Farm kids. 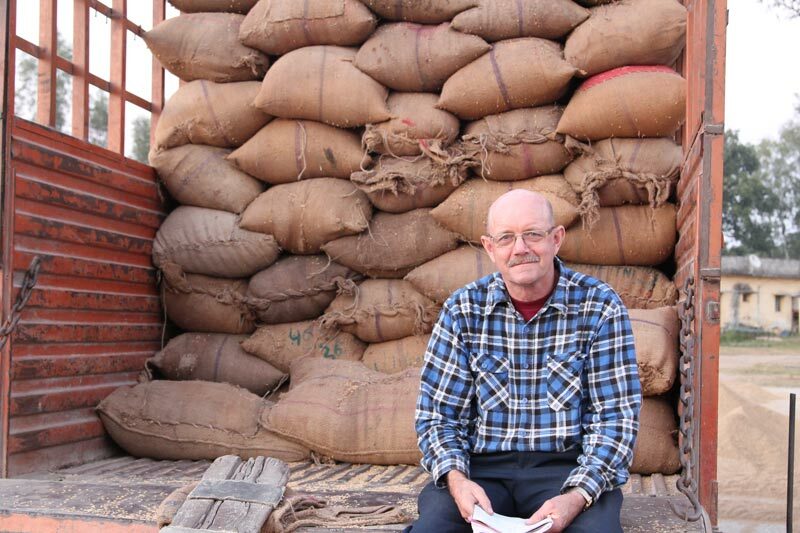 The Good Shepherd Agricultural Mission is completely privately run. No corporation or organization consistently supports or sponsors the work.